Is Cecil any different from all the other lions and animals killed every day in the name of sport? 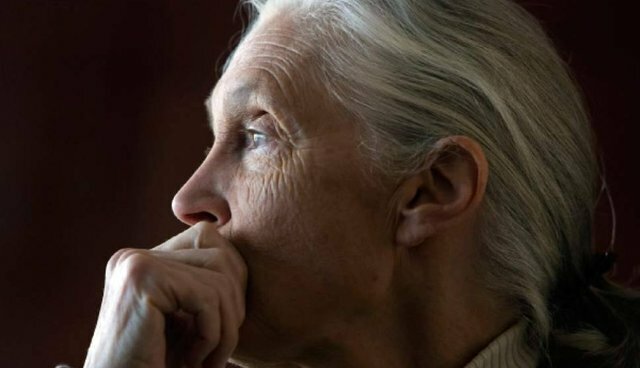 As the internet as a whole has simmered down in the wake of Cecil's tragic death, this is the question living legend Dr. Jane Goodall posited in a passionate statement released on Thursday. After expressing her initial mourning, Goodall asks questions that put Cecil's death in the context of trophy hunting as a whole. "Just because he was named, and loved and part of a scientific study, does that make him any different, in the world of the lion, than the other lions killed by 'sport' hunters? All those splendid individuals whose decapitated heads disfigure the walls of countless wealthy homes?" Here is an excerpt from her full statement, released on Thursday by The Jane Goodall Institute. And the question we should ask ourselves is this: Just because he was named, and loved and part of a scientific study, does that make him any different, in the world of the lion, than the other lions killed by "sport" hunters? All those splendid individuals whose decapitated heads disfigure the walls of countless wealthy homes? ... I simply cannot put myself into the mind of a person who pays thousands of dollars to go and kill beautiful animals simply to boast, to show off their skill or their courage. Especially as it often involves no skill or courage whatsoever, when the prey is shot with a high powered rifle from a safe distance. How can anyone with an ounce of compassion be proud of killing these magnificent creatures? Lions, leopards, sable antelopes, giraffes and all the other sport or trophy animals are beautiful – but only in life. In death they represent the sad victims of a sadistic desire to attract praise from their friends at the expense of innocent creatures. And when they claim they respect their victims and experience emotions of happiness at the time of the killing, then surely this must be the joy of a diseased mind? There are many ethical issues, which we seldom face up to, whenever an animal is killed. For example, is it "worse" to shoot a wild boar for food than to slaughter an imprisoned factory farmed hog? Does the life of a wild turkey matter more than the life of a free range domestic turkey? Is the person who grants a license to the hunter, or the one who authorizes that person, or the one who drafts the laws that make it legal to do this, as guilty as the person who pulls the trigger (or fires the crossbow)? These and many other such questions are seldom asked. And when they are, they sometimes seem impossible to answer. Read more of The Dodo's coverage on Cecil and trophy hunting.